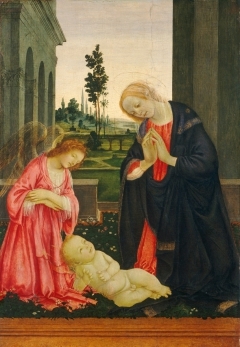 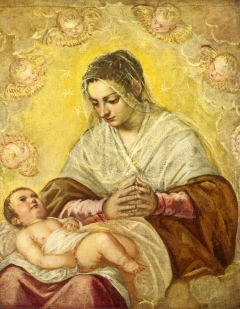 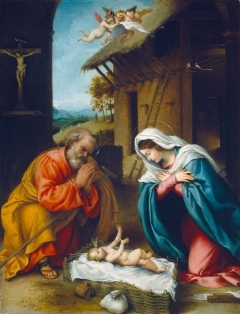 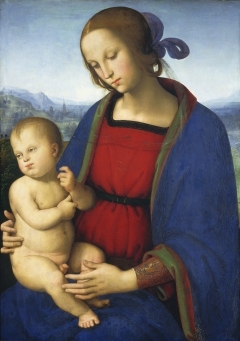 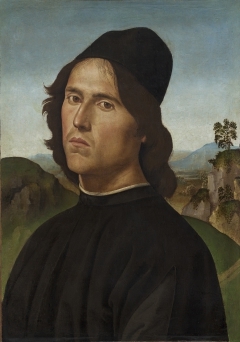 Pietro Vannucci, called Perugino after the city in which he often lived, collaborated with other celebrated painters in one of the most prestigious commissions of the late fifteenth century -- the decoration of the walls of the Sistine Chapel in 1481-1482. 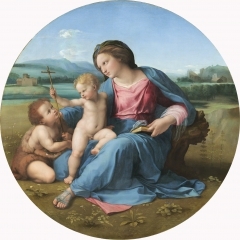 He headed active workshops in Perugia and Florence, where he would eventually be overshadowed by his greatest pupil, Raphael. 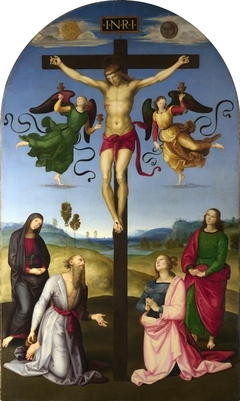 Perugino's Crucifixion with Saints, painted for a chapel in the Dominican church in San Gimignano near Siena, shows Christ hanging on the cross with Mary and Saint John the Evangelist at his feet. 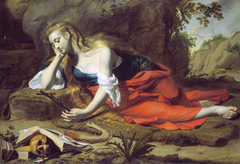 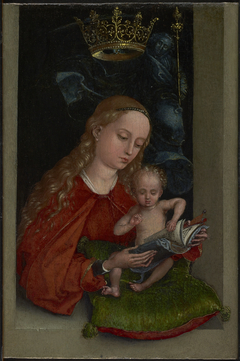 In the two side panels, Saint Jerome with his lion, and Mary Magdalene gaze up at the figure of Christ. 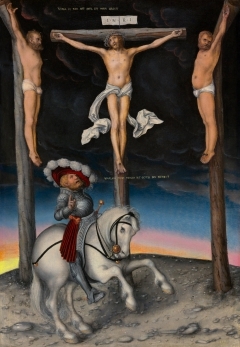 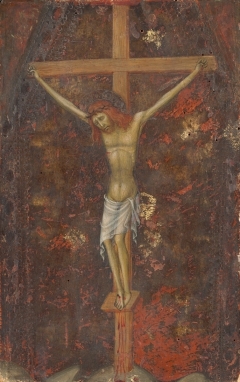 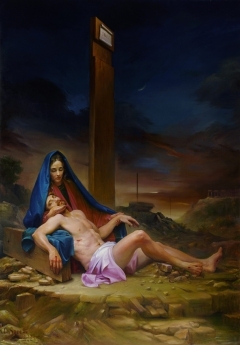 However, the work does not attempt to depict the actual event or place, but is a visual meditation on the theme of the Crucifixion. 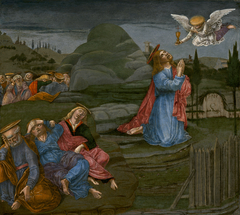 The serene mood is reflected in the landscape, which also reveals the influence of Flemish painting which had recently been introduced into Florence. 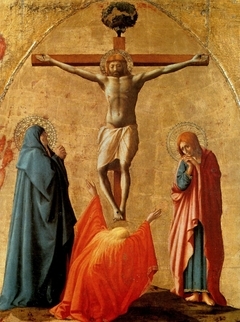 From the late seventeenth to the early twentieth century Perugino's Crucifixion was thought to be the work of his pupil Raphael. 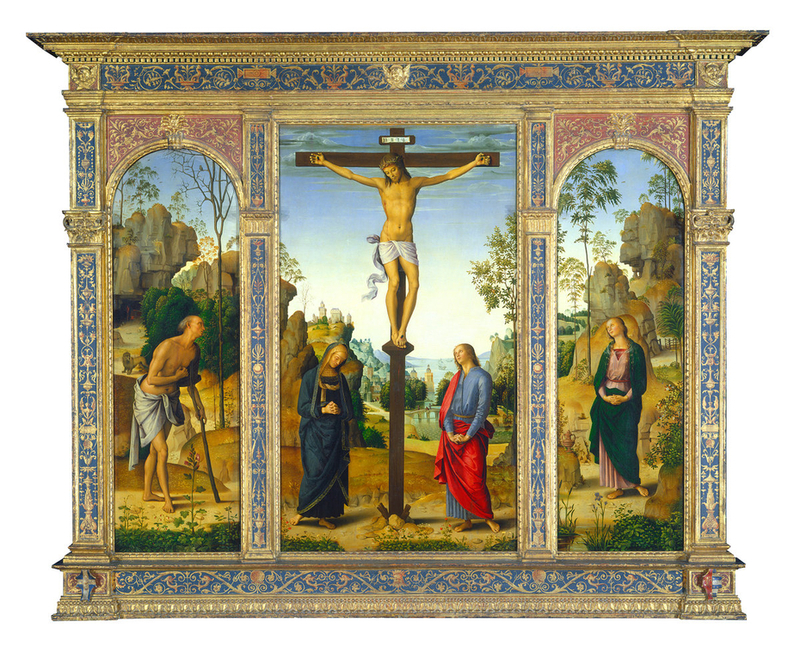 When it was discovered that the donor of the triptych died in 1497, when Raphael would have been only fourteen, Perugino's authorship once again became clear. 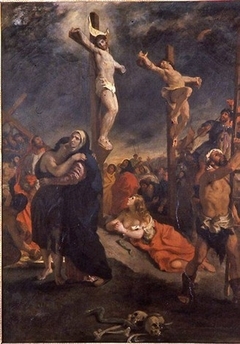 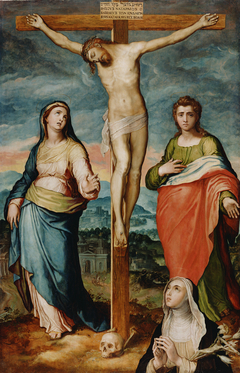 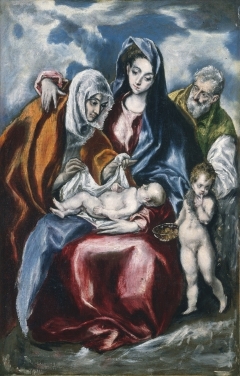 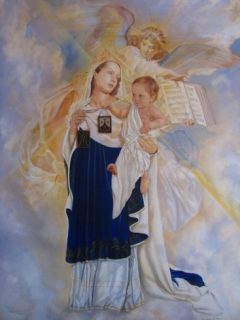 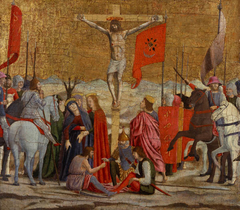 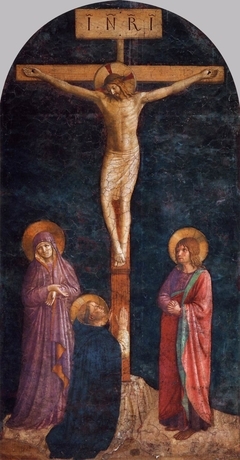 Depiction of The Crucifixion including the Virgin Mary (middle left), Mary Magdalene (middle right), Saint Jerome (far left), and Saint john (far right).